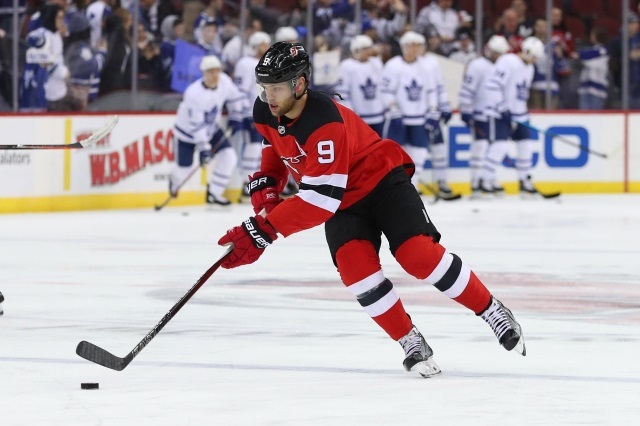 Neal McHale: The merry-go-round with Taylor Hall and the New Jersey Devils has begun with one clear message. Ray Shero must work on the team’s talent gap this summer. It is time. If New Jersey expects to keep Hall around, they must address that first and foremost. As Hall explores input from family, friends, and beyond, the anxiety rises in New Jersey. This is put up or shut up time for Shero, who was just given an extension on Monday. Fortunately, New Jersey has plenty of cap space and draft picks to go after upgrades in talent. What Shero does now will have a decade’s worth of ramifications for the New Jersey Devils. John Vogl of The Athletic: Bridging comparables to now is always a dangerous proposition. However, Jeff Skinner holds all the cards here in negotiations. Buffalo needs his elite scoring even if they relied too much on him and the top line. Any cap comparable which probably hovered around $7,5-8 million AAV changed. Why? The Mark Stone signing at $9.5 million AAV caused ripples that will be felt throughout the summer. Unfortunately, Skinner may be the first player to take advantage of that raise. Jason Botterill must get this right. Signing Skinner becomes a must because of the void of scoring that would be felt if he went elsewhere. How much are 40 goals worth? That is a question everyone will find out quickly. Finally, it is that deal which will cast even more ripples into the NHL pond. Larry Brooks of the New York Post: When does the Chris Kreider merry-go-round end? Jeff Gorton deciding on his future should not be this hard but feels like a decision a year in the making. Also, this comes down to how much New York wants to speed up their rebuild. How much can they actually speed it up? Those are questions that start with a decision one way or another with Kreider. The winger figures to come in at a deal around six years, $39 million ($6.5 million AAV). That puck belongs now on the management’s side of the ice. If a deal cannot be done then trade Kreider before the draft to avoid “lame duck syndrome”. Then, shape your rebuild!